Organic Farmers, Breastfeeding Advocates, Organic Food Retailers, and Local Chefs all gathered together to celebrate healthy food for healthy families, Saturday May 19th at the Women's Culture and Social Society. Join the Food Revolution! Even Teenagers Should Learn About Breastfeeding! 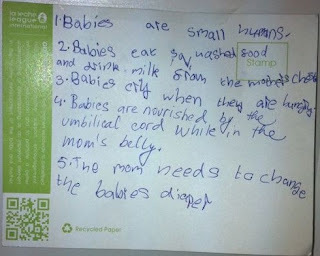 This is what a group of teenage girls wrote down after learning about breastfeeding from one of our midwifes. Have you ever wondered how much sugar is in some of your pantry items? Or how your homemade burger and fries compare to the fast-food versions? 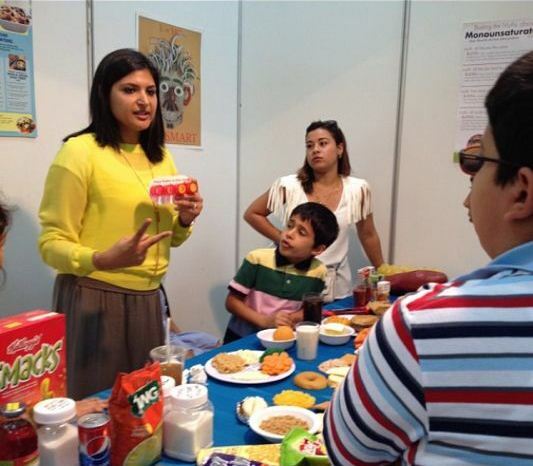 Make healthy choices from your family one step at a time. Our kids had a great time cooking their own homemade pizzas and eating some wholewheat saj!